With Memorial Day near, lawmakers are stepping up efforts to address a backlog that has some veterans waiting years to receive disability claims. WASHINGTON – Lawmakers stepped up their efforts Wednesday to pressure the Pentagon and the Department of Veterans Affairs to address a bureaucratic backlog that has some veterans waiting years for disability claims. Secretary of Defense Chuck Hagel and Veteran Affairs Secretary Eric Shinseki met with members of the Senate Appropriations Committee to discuss the delays. 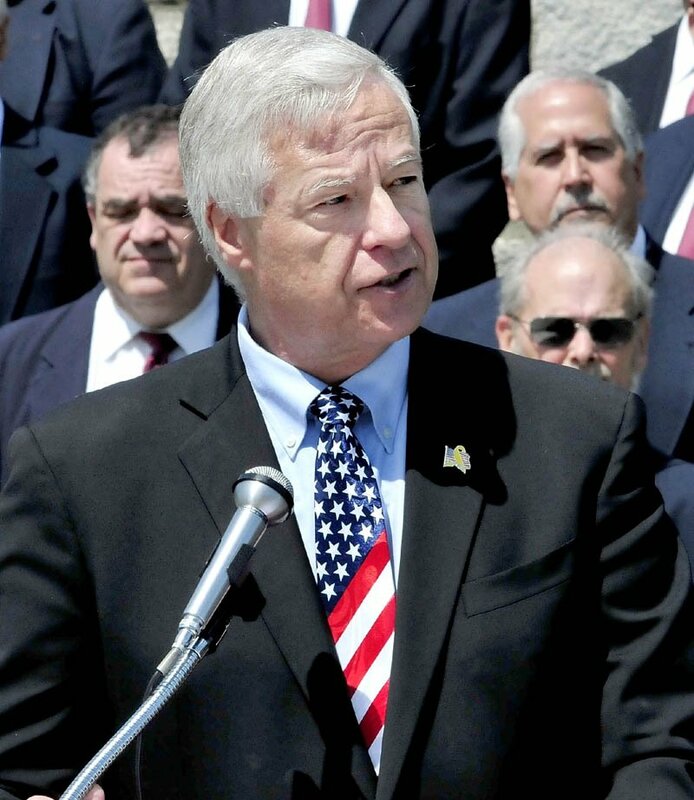 And in the House, Rep. Mike Michaud of Maine and several other Democrats introduced a package of proposals they said would help the Department of Veterans Affairs eliminate, by 2015, a backlog now estimated at 600,000 claims. “That number is unacceptable and it needs to be addressed,” said Michaud, the top-ranking Democrat on the House Veterans Affairs Committee, during a news conference. The flurry of activity came one day after the Center for Investigative Reporting cited internal documents showing that the backlog grew during the past 18 months, despite intense focus on the issue within the department. Neither Hagel nor Shinseki took questions from reporters during a press conference organized by Sen. Barbara Mikulski, D-Maryland, who chairs the Senate Appropriations Committee. But both insisted that their departments are working aggressively — and cooperatively — to create a “seamless” health records system between the agencies with a goal of handling all claims within 125 days of receipt. While veterans nationwide are affected, the extent of the delays varies dramatically by region. About 30 percent of claims submitted through Maine’s Togus VA facility took longer than 125 days to process, according to figures supplied to Michaud’s office this spring. That ranked Togus among the better facilities, although hundreds of Maine veterans still faced delays. Since 2011, the average processing time nationwide has increased from 182 days to 279 days, due in part to a 2009 policy change that allowed many more Vietnam veterans to qualify for benefits from exposure to the defoliant Agent Orange. On Wednesday, the Department of Veterans Affairs announced that more veteran’s service organizations have agreed to wait to file claims until all records and supporting evidence are included. Such “fully developed” claims cut the processing time in half, according to the department. Earlier this month, the VA announced that workers in all 56 regional offices will be required to work overtime through the end of September to reduce the claims backlog. n Requiring the VA to pay out benefits on each individual claim within a multi-claim filing as it is resolved. n Sending some of the most complex cases — such as those for post-traumatic stress disorder and traumatic brain injury — to regional facilities that specialize in reviewing those claims rather than having the veteran’s local facility handle them. n Requiring regional VA offices that fail to meet their backlog goals to file annual reports with Congress. n Mandating that the Department of Defense provide complete, electronic records to the VA within 21 days. Speaking at the press conference, House Majority Leader Nancy Pelosi of California said that just as the military promises to leave no soldier behind on the battlefield, the nation must not leave any veterans behind when they return home. Backlash to a Pentagon announcement Wednesday on electronic records underscored the tension between lawmakers, veterans’ groups and government officials. The VA and the Department of Defense operate different health records systems that do not mesh well or communicate with each other. So the Pentagon’s announcement that it would solicit bids for a new system — rather than adopt the system used by the VA — frustrated observers who wanted an integrated system.